San Francisco Bay Area roofing company, Wedge Roofing is the recipient of two of the most highly esteemed national awards in the roofing industry, receiving top honors from both the National Roofing Contractors Association and the Spray Polyurethane Foam Alliance at separate award ceremonies held in February. 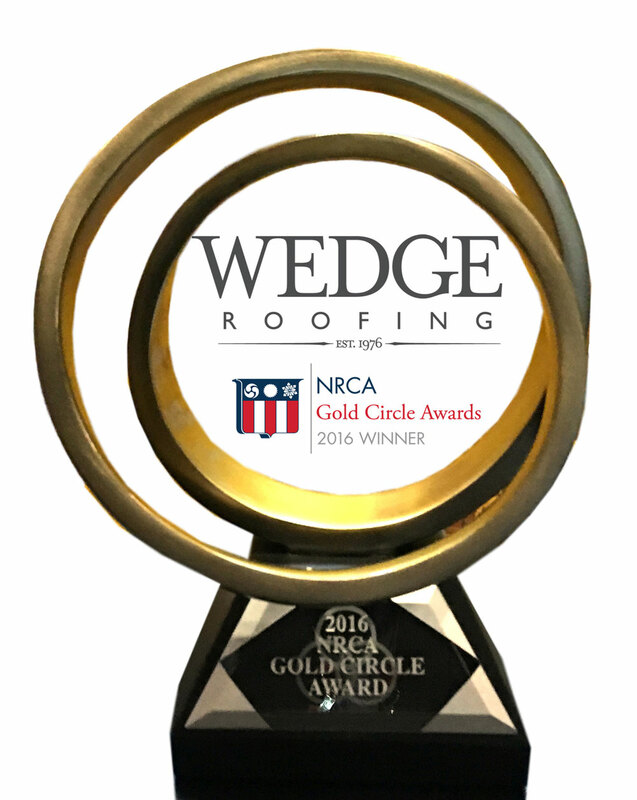 In recognition for outstanding contribution to the roofing industry, The National Roofing Contractors Association (NRCA) awarded Wedge Roofing with their highest honor for exceptional roofing projects nation-wide, the NRCA 2016 Gold Circle Award for "Innovative Solutions in Reroofing." The prestigious award was accepted by General Manager, Gary Harvey at the National Roofing Contractors Association Convention in Florida. Harvey and his award "tux" had only just returned from accepting the 2016 Spray Foam National Industry Excellence Award on February 10 at the Spray Polyurethane Foam Insulation (SPFA) Annual Awards Gala, also in Florida. In competition against industry leading roofing projects from across the country, Wedge Roofing won first place in the category "Best Spray Foam Roof Less than 40,000 square feet" as judged by national roofing experts. 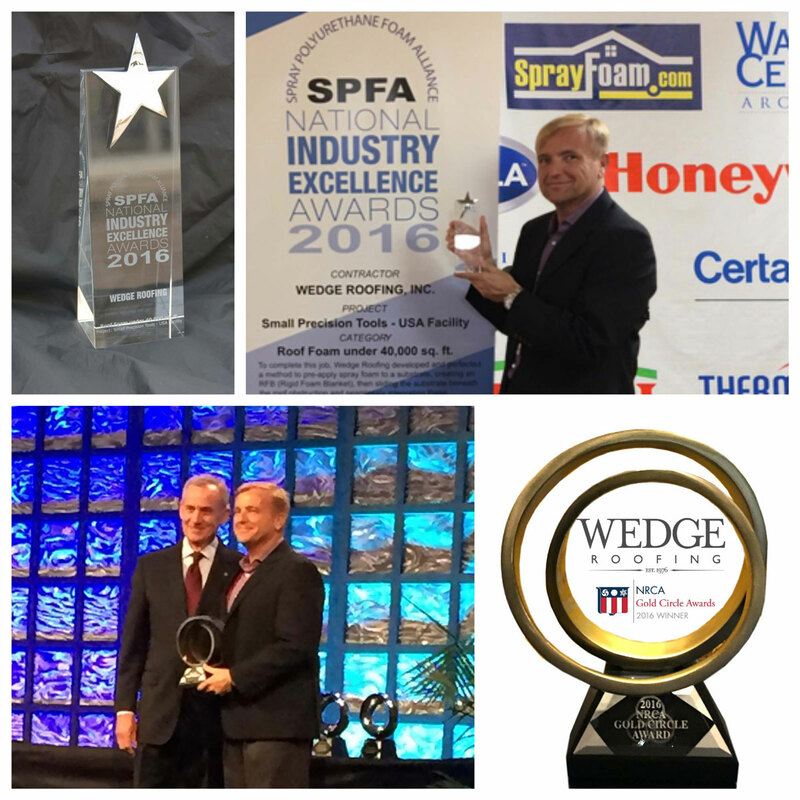 This was Wedge Roofing’s second Spray Foam National Industry Award, having won the 2015 SPFA National Industry Excellence Award. 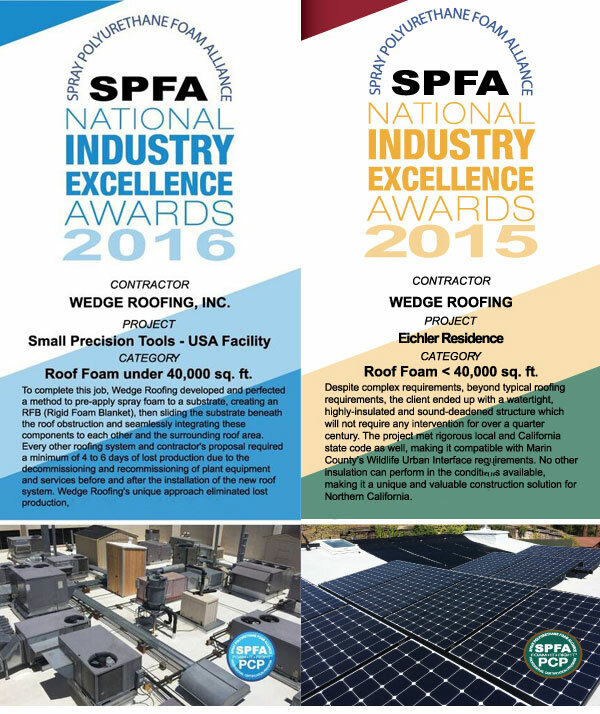 Both the NRCA Award and the SPFA Award were in recognition of Wedge Roofing’s technically challenging, high-tech spray foam roof installation utilizing Premium Spray Products Commercial Roof System on the Small Precision Tools Facility in Sonoma County.